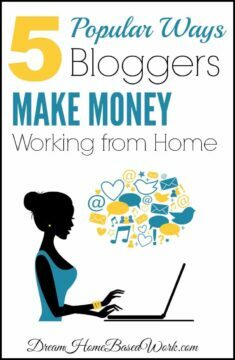 In today's article, I will explain the top 5 ways bloggers make money working from home. First I must say, for most bloggers like myself, patience is the key. There are many that won't stick with it long enough to make a full-time income. However if you have the motivation, no matter what age, you can start a blog and earn money every single day. This is definitely a pleasure to share with you, because so many people contact me, struggling to find a legitimate way to make money online. In addition there hopes are shattered by online scams and schemes. I am clearly a witness that your hopes can be turned into a reality with blogging. Below you will find the most popular ways bloggers make money blogging from home. It is up to you to decide which option would be the best fit for your blog. Haven't started a blog yet? I suggest reading my latest article on how to successfully start a blog in 7 steps. Ad networks is one of the top and easiest ways to make money, if you think it will be a good fit for your audience. It will surely take huge blog traffic to benefit from advertising networks. Google Adsense is the most popular advertising network that a lot of bloggers use. They pay monthly via Paypal once you have earned at least $10, or you can request a check at $50. Media.Net is a company pays once every 30 days, once you have accumulated at least $100 in your account. Payments are made via wire transfer or Paypal. Chitika is a popular Adsense alternative. They send out payments monthly via Paypal, once you've accumulated at least $10. Or you will have the option to request a check with a minimum balance of $50. Affiliate programs provide you with a unique affiliate code that you can use to refer traffic to the target site. Most affiliate networks will offer available text links, banners and other creatives that you can place on a blog to start referring your audience. These are the little ads that pop-up within the text on your blog. So when someone hovers their mouse over them an advertisement will show. I personally don't use them because they are kind of annoying to me as well as my readers, but they can definitely earn you money. Infolinks is the most popular and is very easy to get in with. They pay monthly via Paypal, bank transfer, Payoneer, ACH, or prepaid Mastercard once you have reached the $50 minimum payout. They offer many customization options to make your ads look natural. Vibrant Media offers in-text ads and display in-image ads. Amobee has been around for a long time and is a very popular option as well. Payments are made via Paypal, check, wire transfer, or ACH at the $50 minimum payout. If you have an arts and crafts blog , you can create an online shop through Etsy or another service for selling your handmade items. If you are a writer or illustrator, search online for a website that will let you sell T-shirts with slogans or drawings on them. Keep in mind most blogs are not tied to products. You don't need to sell something to make money, but if it fits your blog, go for it. You have probably put hours of work into your blog and now you want to start selling your own ad space. Advertisers love blogs and will carefully look at your blog and its information, then compare it with other bloggers in your niche. It is important to make your blog unique so that it can stand out in the eyes of advertisers. Contact information and how to get started. Monetize wisely. This rule is so important. You should ensure that you do not stuff your blog with so many ads as it might turn your visitors away. Always ensure that you include profitable forms of ads and be sure to do it in a way that it will grab the attention of your audience away from the information which they came for in the first place. Hi Lashay! My name is ramadhani seiph. I am from Tanzania eastafrica and a student of information technology with a diploma. I was wondering if you could help with ideas on online jobs from home.any ideas would help. I am looking forward to hearing from you. Hmm…..very interesting. thank you for this topic, it’s actually what I need now. Some days ago I read a post 10 Keys To Success: Stop Looking For It And Get To Work and I was searching myself somewhere. Now I’ll create my blog, and try to make some money, with a cooperation of this two posts information. I recently started a blog. I was approved for several ad companies, but the only ones seem to make money off of is share a sale and adsense. My problem was driving traffic to my blog. I was not so big on being back on fb, but I have seen my traffic increase. I really enjoy blogging and it fits my situation. I tried working at home for uhaul but my babies where always heard in the background and I did not have the flexibility I needed. I want to be successful at blogging. Do you now any other ways that I can draw traffic to my blog? I really enjoy blogging. I actually blog almost everyday. I started it about two weeks ago and still lost when it comes to blogging. Is there another way to make money from my blog besides posting ads? my blog address is shakinahc.blogspot.com. I would love your suggestions on how I can improve it. Thank you! I am new to blogging so any suggestions would be great! Oh Wow! Lol. Just an FYI, sometimes it can take anywhere from 3 months up to a year to start getting traffic. There are a million other blogs online so it will definitely take patience to start seeing results. I did take a look at your blog and really love how passionate you are about your family and beautiful kids. I actually started with blogger.com as well. The first thing I would suggest is to make better blog post titles, because when someone is searching for information online. That is the first thing they notice. For example on your latest post ” This is exactly how I pictured my Saturday Morning”, I would suggest changing that to ” The Life of a Stay at Home Mom on a Saturday Morning”. To get traffic to your blog. SEO (Search Engine Optimization) is one of the most important things. I did a lot of research in the beginning to learn how to optimize posts titles, post descriptions, images, and so forth. Another Note: Blogging is much more than just putting up a post, it must have a purpose. Whether its teaching something, selling a product, giving advice, and so forth. You have to think about what type of audience are you trying to reach. 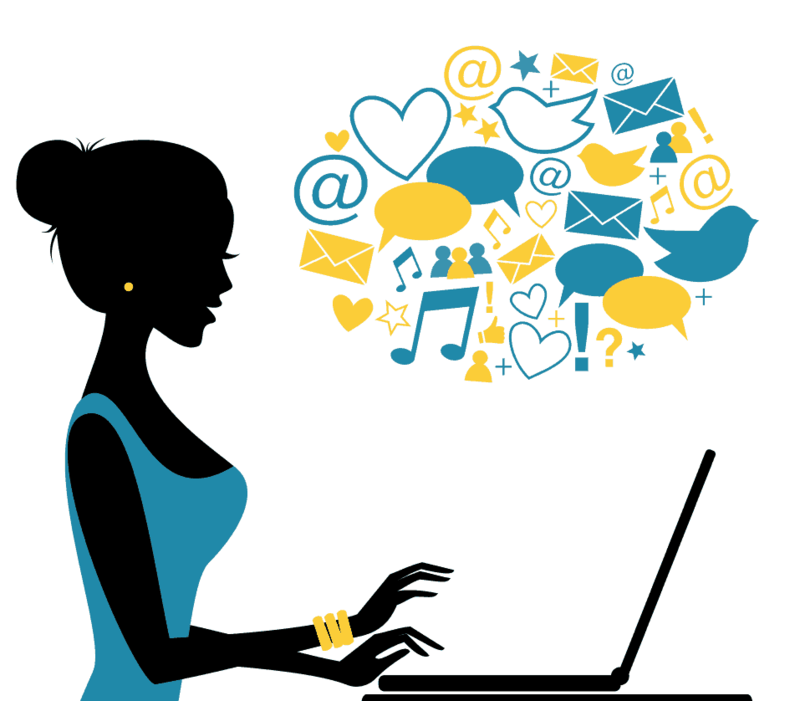 From reading your blog it seems that you are trying to share your life as a stay at home mom. So you can start creating many topics that would capture that type of audience. As far as monetization, some people hate to use ad banners. I would suggest Infolinks, which is a text-based ad network. Also you could sign up as an affiliate and sell products on your blog. Some of the popular ones are Commission Junction and Share a Sale. Another way to make money is to recommend coupon offers to stay at home moms. Escalate network is a great network that allow you to offer freebies, coupons, and more. Lol I didn’t I really appreciate your feedback! I will do some research and try to come up with better titles. Coming up with catchy titles have always been something I struggled with and I was trying to move my blog and get a domain name. I am very much lost when it comes to that. Now as far as share a sale, I think I will stick with them because I am having more success with them rather than Infolinks. That’s really good advice Lashay! Yes, I have started getting active with social media sites the last couple of weeks and have gotten some traffic that way. I imagine as I build more followers and Facebook likes I’ll get even more traffic from social media. The name of my site is Internet Security 101 found at http://www.internetsecurity101.net. I write about Internet security and privacy, technology as well as a few pages on making money. Since I added the pages on various ways of making money online the amount of traffic that I get from from a couple of blogging/affiliate marketing forums that I belong to has increased dramatically. Thank you for this post. Those are some excellent ways to make money blogging. My blog is only 3 months old and doesn’t get a lot of traffic yet, so it is not making any money at the moment. I did have Adsense ads up but since I have so little traffic I decided to take the ads off until I get a substantial number of visitors. That is the one thing about Google Adsense is that you need significant traffic to make a decent amount of money off it. I have read a few of your posts and am enjoying your blog. Very nice blog! You’re Welcome Chris! Yes I agree. It takes patience to start making consistent money from a blog. My main advice is to stay consistent and get really active on most social media sites. Reach as many people as you can, and if your content is quality, it will get shared. What is the name of your blog if you mind me asking?